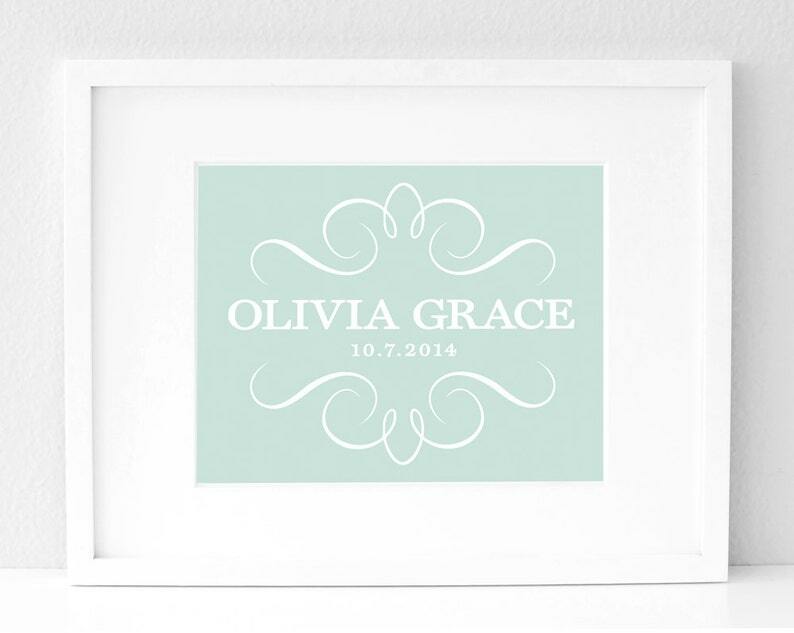 Create an elegant and customized keepsake for your little one. Giclée print on premium matte paper with professional archival pigment inks. Artwork is made to fit an 8"x10" opening, however it is printed on 8.5" x 11" paper for ease of matting. If you would like it trimmed to 8x10, please make a note during checkout. (Frame and mat are not included). Ships in 3-5 business days. Artwork is signed and dated on the back, then packaged in a cello sleeve and rigid mailer to ensure safe arrival. Please contact me for other available sizes. I accept payments via PayPal and Etsy Direct Checkout. Tennessee sales tax of 7% will be added to orders purchased by Tennessee buyers. Because I ship orders very quickly, cancellation requests will only be accepted within 24 hours. If you are unhappy with your purchase for any reason please contact me. I will do everything I can to make it right. I will accept returns and exchanges within 7 days of receipt. Refunds will not be given on shipping charges. Custom orders cannot be returned. A note regarding proof approval: If I do not receive a response regarding digital proofs needing approval within 1 week of sending, they will shipped as is. All items will be shipped via USPS within 3-5 business days of receiving payment and/or proof approval. I do everything I can to get your order shipped as fast as possible. Please contact me for rates if you need your order rushed. Prints are packaged in a cellophane sleeve and rigid mailer to ensure safe arrival. Giclée prints by Sugar Fresh are printed on premium matte paper with Epson Ultrachrome inks which deliver brilliant, long lasting, water resistant prints that are guaranteed to last for up to 100 years. I currently do not sell any of my artwork as digital downloads.